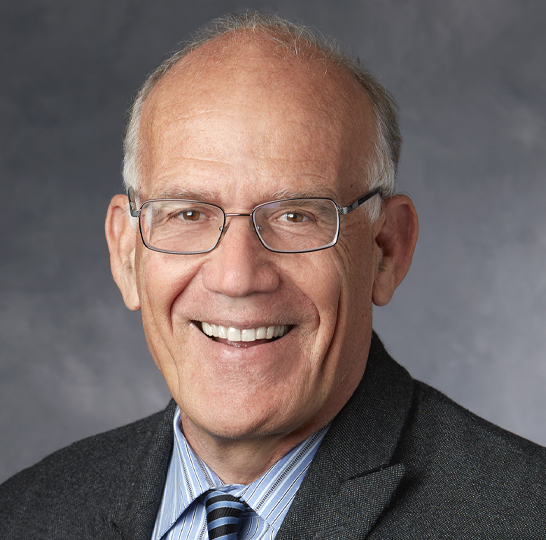 Victor Davis Hanson is the Martin and Illie Anderson Senior Fellow in residence in Classics and Military History at the Hoover Institution, Stanford University, a professor of classics emeritus at California University, Fresno, and a nationally syndicated columnist for Tribune Media Services. He is also the Wayne & Marcia Buske Distinguished Fellow in History, Hillsdale College, where he teaches each fall semester courses in military history and classical culture. He was awarded the National Humanities Medal in 2007. Hanson, who was the fifth successive generation to live in the same house on his family’s farm, was a full-time orchard and vineyard grower from 1980-1984, before joining the nearby CSU Fresno campus in 1984 to initiate a classical languages program. In 1991, he was awarded an American Philological Association Excellence in Teaching Award, which is given yearly to the country's top undergraduate teachers of Greek and Latin. Hanson has been a National Endowment for the Humanities fellow at the Center for Advanced Studies in the Behavioral Sciences, Stanford, California (1992-93), a visiting professor of classics at Stanford University (1991-92), a recipient of the Eric Breindel Award for opinion journalism (2002), an Alexander Onassis Fellow (2001), and was named alumnus of the year of the University of California, Santa Cruz (2002). He was also the visiting Shifrin Professor of Military History at the U.S. Naval Academy, Annapolis , Maryland (2002-3). He received the Manhattan Institute's Wriston Lectureship in 2004, and the 2006 Nimitz Lectureship in Military History at UC Berkeley in 2006. Hanson is the author of hundreds of articles, book reviews, scholarly papers, and newspaper editorials on matters ranging from Greek, agrarian and military history to foreign affairs, domestic politics, and contemporary culture. He has written or edited 17 books, including Warfare and Agriculture in Classical Greece (1983; paperback ed. University of California Press, 1998); The Western Way of War (Alfred Knopf, 1989; 2d paperback ed. University of California Press, 2000); Hoplites: The Ancient Greek Battle Experience (Routledge, 1991; paperback., 1992); The Other Greeks: The Family Farm and the Agrarian Roots of Western Civilization (Free Press, 1995; 2nd paperback ed., University of California Press, 2000); Fields without Dreams: Defending the Agrarian Idea (Free Press, 1996; paperback, Touchstone, 1997; The Bay Area Book reviewers Non-fiction winner for 1996); The Land Was Everything: Letters from an American Farmer (Free Press, 2000; a Los Angeles Times Notable book of the year); The Wars of the Ancient Greeks (Cassell, 1999; paperback, 2001); The Soul of Battle (Free Press, 1999, paperback, Anchor/Vintage, 2000); Carnage and Culture (Doubleday, 2001; Anchor/Vintage, 2002; a New York Times bestseller); An Autumn of War (Anchor/Vintage, 2002); Mexifornia: A State of Becoming (Encounter, 2003), Ripples of Battle (Doubleday, 2003), and Between War and Peace (Random House, 2004). A War Like No Other: How the Athenians and Spartans Fought the Peloponnesian War, was published by Random House in October 2005. It was named one of the New York Times Notable 100 Books of 2006. Hanson coauthored, with John Heath, Who Killed Homer? The Demise of Classical Education and the Recovery of Greek Wisdom (Free Press, 1998; paperback, Encounter Press, 2000); with Bruce Thornton and John Heath, Bonfire of the Humanities (ISI Books, 2001); and with Heather Mac Donald, and Steven Malanga, The Immigration Solution: A Better Plan Than Today's (Ivan Dee 2007). Hanson has written for the New York Times, Wall Street Journal, Los Angeles Times, International Herald Tribune, New York Post, National Review, Washington Times, Commentary, The Washington Post, Claremont Review of Books, American Heritage, New Criterion, Policy Review, Wilson Quarterly, Weekly Standard, Daily Telegraph, and has been interviewed often on National Public Radio, PBS Newshour, Fox News, CNN, and C-Span's Book TV and In-Depth. He serves on the editorial board of the Military History Quarterly, and City Journal. Since 2001, Hanson has written a weekly column for National Review Online, and in 2004, began his weekly syndicated column for Tribune Media Services. In 2006, he also began thrice-weekly blog for Pajamas Media, Works and Days. Hanson was educated at the University of California, Santa Cruz (BA, Classics, 1975, ‘highest honors’ Classics, ‘college honors’, Cowell College), the American School of Classical Studies, Athens (regular member, 1978-79) and received his Ph.D. in Classics from Stanford University in 1980. He splits his time between his family’s forty-acre tree and vine farm near Selma, California, where he was born in 1953, and the Stanford campus.